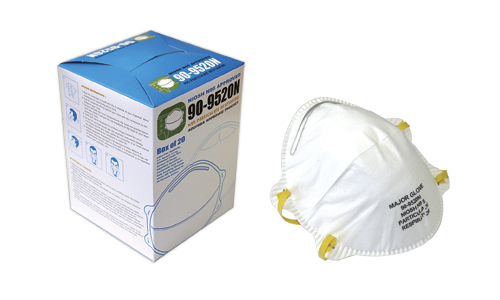 Latex-free N95 Face Mask features a fluid-resistant, outer facing for full protection while the soft inner facing gives the wearer true comfort against the face. Adjustable nose clip provides a custom fit, secure seal, and reduces the potential for eyewear fogging. Lightweight construction contributes to increased wear time.